Having achieved her own Bronze Award, Emmaline O’Toole’s mum encouraged her daughter to take up the challenge; but while participating in her Bronze, Emmaline was diagnosed with Raynaud’s disease and had to be taken out of her school that ran the DofE to be home educated. But Emmaline was determined to continue with her Award and, once she finished her GCSEs, she went on to become an independent participant so she could continue her journey. Emmaline started volunteering at The Helen & Douglas Hospice charity shop, which supports children and young adults with life-shortening conditions. Initially, Emmaline was charged with pricing products, labelling and cleaning before being given training and more responsibilities, such as operating the till, dressing the shop window and steaming the clothes. Volunteering built up Emmaline’s confidence as she was constantly meeting new people, building a good rapport with colleagues and members of the public. Continuing her commitment to volunteering and the hospice, Emmaline recently raised £400 through a baking fundraiser where all the proceeds went to The Helen & Douglas Hospice Charity. 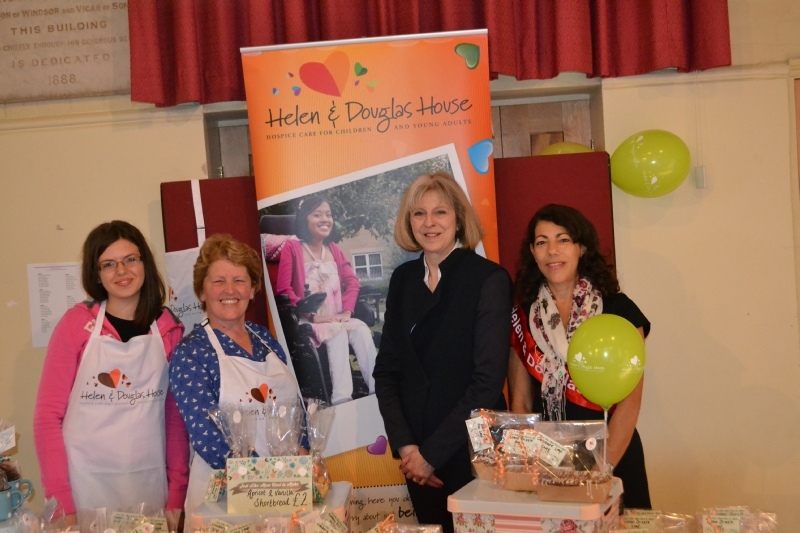 Honorary guest, Home Secretary Theresa May, attended the fundraiser and bought one of Emmaline’s lemon drizzle loafs to support her and the charity. Although Emmaline goes to college and works, she still finds time to volunteer. Every Monday morning she works in the hospice charity shop where she has developed close relationships with her coworkers. Along with volunteering at the shop, Emmaline still takes the boy from the Me2 group to his football club every week.